Office of the CMOH Diamond Harbour WB Job Has Published Job Advertisement For 08 Block ASHA Facilitator Posts, Kindly Request To All Candidates That Read All Important Content Of This Job Carefully Before Applying For This Job And Last Date For This Job Is 22-09-2017. Qualification For This Job :- (Bachelor Degree / Master's Degree (Social Science / Sociology / Social Anthropology / Social Work / Business Administration / Economics / Rural Development / Mass Communication) + 2 Years Experience) Valid For This Job,For Whole Information About This Job Read Published Advertisement Copy given below this post. Application Fee - Application Fees For (For Unreserved Category) Rs 100 / (For Reserved Category-SC/ST/OBC-A&B) Rs 50. For More Information Of Discount In Application Fees For Category, Visit Advertisement At Last Of This Post In Which All Useful Information Is Given Below. 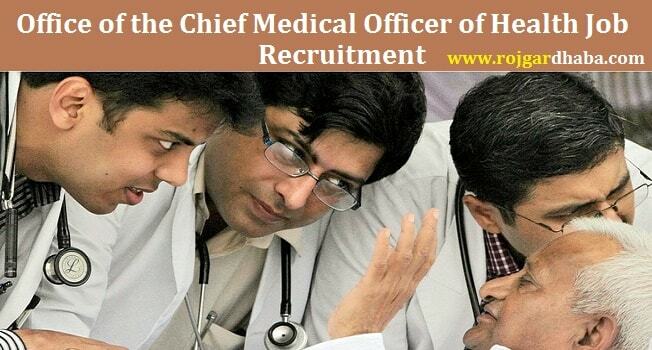 Find all latest Office of the CMOH Govt Jobs vacancies notification only in rojgar dhaba website. 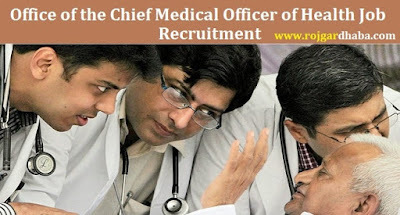 Latest upcoming vacancies in Indian Government jobs for the departments of Office of the CMOH open that given links to know more details. Please bookmark this page to attain all upcoming vacancies in Indian government.